You may know I read at least 50 books a year. With so many goods ones even at one per week it seems to make hardly a dent. 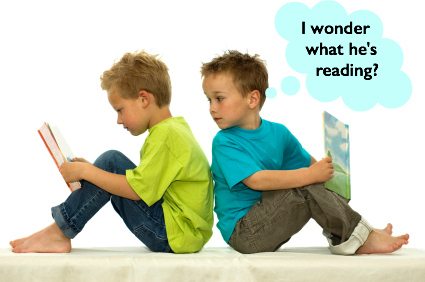 My reading focuses on personal development, history & biography, business, and literature. My guilty pleasures are detective and historical fiction. It all unites to help my family and me live the life we’ve charted. I keep abreast of current works But I also look back to see what older books and classics I have missed. Here are the best. Why not treat yourself to one for a Christmas or Chanukah gift? We live amidst great abundance yet don’t seem to be happier. Is it nostalgic yearning? Barry Schwartz makes the case that too many choices bring about unhappiness as surely as no choice. He also gives you actionable steps to relieve yourself of this burden. If you sit around hoping for a miracle it’ll be a long wait. Mark Victor Hansen (the Chicken Soup Book Series) challenges you to become a miracle maker. He explains how to see them in your life and make them happen. In many ways, David Sturt’s book is a companion to Geoff Colvin’s Talent is Overrated. No matter your IQ, talent, educational level, gender, or the circumstances of your birth, you can create a difference the world loves. The ability to innovate comes through the five skills that Sturt reveals. His illustrative stories prove you can execute them. Steve Dalton fills in a crucial piece of the job-hunting puzzle. His book will teach you how to connect with people who can help you get the position you want. I used his system. It works. This 34-year-old classic details more than a sound strategy for managing people. Kenneth Blanchard gives you the formula to boost the quality of all your relationships. His simple steps yield clear communication leading to mutually agreeable outcomes. Orville and Wilbur Wright were not extraordinary mechanics, businessmen, or thinkers. David McCullough shows their success came through sheer tenacity. This story will inspire you to redouble your commitment to your life’s mission. Arguably the navy’s most beloved admiral, William Halsey’s life testifies to the power of personal connections. E.B. Potter reveals how relationships with his sailors, peers, and family propelled Halsey’s legendary success. I’m not a Guy Kawasaki groupie. I checked out his work from the audio books section of the library so I wouldn’t run out of things to listen to on a car trip. 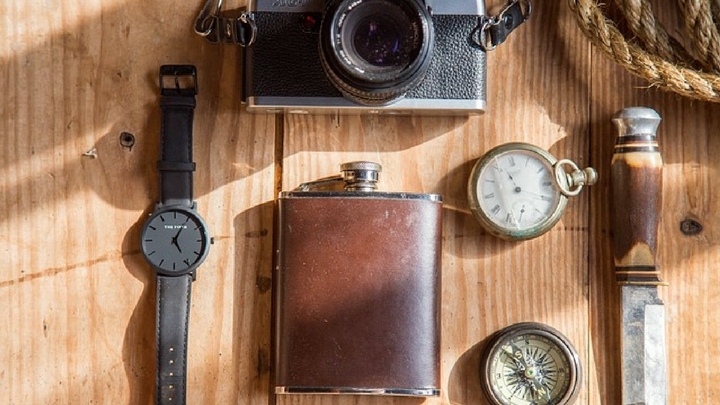 His step-by-step breakdown of entrepreneurship converts a daunting process into manageable pieces. For veteran entrepreneurs and rookies, this book will accelerate your success. I am a Howard Schultz fan. I loved his first book, Pour Your Heart Into It. In Onward, he emphasizes the bond between business success and foundational values. You don’t need to like Starbucks coffee to get inspired by this story of its rescue. If you saw the movie Master & Commander you got a taste of Patrick O’Brien’s rollicking adventure tales. A group of hardy sailors treks across 1930’s China to exotic Samarcand. This is old-fashioned excitement, breakneck horseback rides and hand to hand combat. If you want to succeed you must read. If you have a specific challenge that none of these books address let me know. Happy to recommend material to help you. What books did you read this year that you recommend? 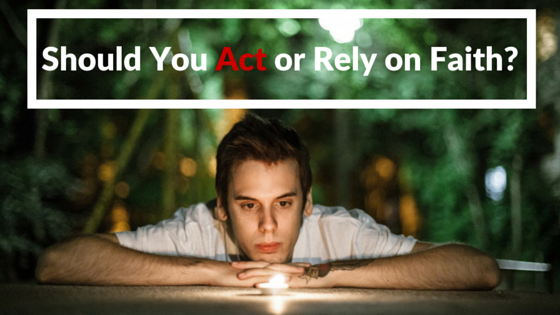 Should You Act or Rely on Faith? This week’s parsha gives the mitzvah of the half-shekel, deals with the last few items for the Altar, discusses the Sabbath, and relates the story of the Golden Calf. G-d appointed Bezalel to build the Mishkan, the Earthly abode in which He would rest His presence. He could have said, “I want Bezalel to build the Mishkan.” Instead the Almighty points out He called Bezalel “by name.” Why is the name important? If you recall the story of creation, G-d paraded the animals by Adam, who gave each a name. He didn’t label them randomly. Each name designated the essence of the animal’s character. Originally Adam was to fulfill human destiny. But when he ate the fruit from the Tree of the Knowledge of Good and Evil G-d changed His plan. No longer would the whole of humanity be bound in one soul. Ever since, when a child is born, the Almighty designates a piece of Adam’s soul for him or her. Certain skills and characteristics reside in that bit of Adam’s spiritual DNA. At the same time G-d gives the child a name. The two, soul and name, are inextricably bound. When G-d appointed Bezalel “by name” to oversee construction of the Mishkan, He ensured the particular abilities and traits His appointee got from Adam would be put to use. Bezalel is not unique. G-d gives each human being, including you, specific expertise and qualities as a legacy from Adam. He chooses them for you so you can accomplish the mission He designates for you. However, the Almighty’s plan for the world cannot be understood by the human mind. So it’s impossible to know for sure what your mission is. You must have faith that the path you choose is the one G-d chose for you. You must do your best to understand your strengths. Introspection and guidance from those who know you best will help. Having done your best to accurately determine the gifts the Almighty gave you, align your mission with them. If you made an open, wholehearted self-investigation, your action will bear fruit. The more certainty you bring to your actions, the more likely your sincere faith and actions will be rewarded. What does it mean if you don’t make progress after trying and trying and trying? Perhaps your self-assessment is off the mark. Try again. Life is an iterative process. You know for sure that G-d has given you a mission and the ability to see it through. Have faith in him and yourself that you will find your mission. Take action to make it happen. Do you have clarity about your life’s mission? Please comment below. What verse in the Old Testament would you like to know more about? Ask here and I will answer it in a future Parsha Nugget! On the ad I run promoting my Facebook Group where veterans talk about how to get a six-figure income, someone posted he wants a seven-figure income. I like his moxie. He has a goal. But what is he willing to do to reach it? About 30% of families have incomes of $100,000 or more per year. Before you think they’re all doctors and lawyers, consider these two professions together make up less than 2% of workers. People who make six-figure incomes know something you don’t. 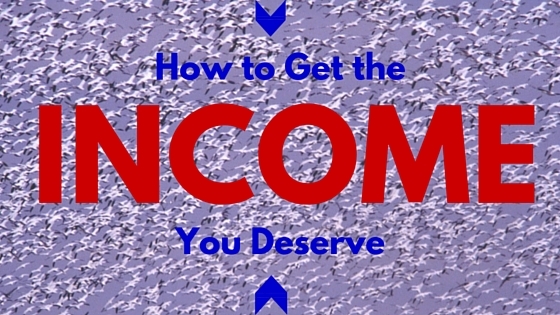 In today’s competitive marketplace, skills alone won’t get you a six-figure income. In most cases your abilities are worth $40,000 to $60,000 a year. The global marketplace has commoditized many jobs. Technology has replaced expertise, simplifying many other jobs. There are a few exceptions. Nursing will pay in the high five-figures and in some cases more. But the work is taxing, creating a high burnout rate. As you work up the scale from mid five-figures based on skills alone, most of the time a higher income will come from working longer hours, having higher stress, or both. 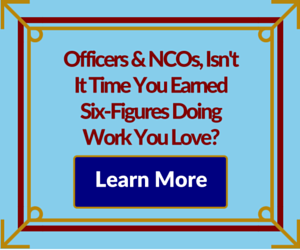 So what are the 28% of six-figures earners doing besides practicing medicine and law? Inventory your skills, knowledge, and experience. This is your foundation. Most people stop here so by moving beyond this point you are already separating yourself from the pack. Establish expertise in an area where your skills can command a premium. If someone tells you how to apply your skills you’re going to be stuck in mid five-figures. But if you couple knowledge of the problems a business or an industry faces with the expertise to solve them you’ve taken a big step toward doubling your income potential. Create your case for scarcity. As long as there are lot of people conversant with the challenges of a market and the ability to overcome them you’re still a commodity. What makes you unique or a cut above the competition? You must be able to articulate why you’re the best in precise terms. Statements such as, “I have ten year of leadership experience” mean nothing. (I had that by the time I was 18 because I held leadership positions in my Cub Scout Pack and Boy Scout Troop.) What specific, relevant problems did you solve as a leader? Why didn’t anyone else solve them? Convey your value proposition in language the interviewer understands. What is the jargon of the industry? You can tell someone you know the business. Or you can demonstrate industry knowledge by speaking like an expert. Which makes the stronger case for your uniqueness? Notice nowhere in this process are you saying things that are untrue or using high pressure or other tactics associated with the sleazy aspects of sales and marketing. You are presenting the case for your value backed up by your expertise. People want results. Your skills and experience are important only as indicators you can deliver. Package them in a way that distinguishes you from the competition. Then watch six-figures come rolling in. How can you separate yourself from the flock? Please comment below. When I was a high school student and an undergraduate in college, you only had to get a 90 for an A- and a 70 would get you a C-. At first I thought the grading scale indicated a more rigorous evaluation of a student’s work. Later I found it was a response to professors grading too leniently. Whether because they were buying good student ratings or were overwhelmed by compassion, the result was students who didn’t write well and often lacked the resilience to deal with the workload. Academia isn’t the only place where failure essentially has been eradicated. Command Master Chiefs and Career Counselors, among others in the navy, ensure sailors succeed. This policy is justified by the cost to train a sailor, as high as $1 million for one who will work on a nuclear reactor. From leading petty officers (foremen in civilian life) to the officers in command, sailor retention and advancement is a key indicator of performance. But there’s no free lunch. The price has to be paid somewhere. Stress on chief petty officers (supervisors in civilian life) burns them out more quickly and reduces their quality of life. Job satisfaction at all levels is lower. Instead of failing and self-selecting to follow another path, sailors advance despite not liking their work. But the real cost is borne when they finally leave the navy. Chief petty officers and commanding officer take pride in saying none of their sailors failed. But like college professors, their success comes at a price someone else pays. Once out in the civilian job market, where being told no, you don’t qualify, and receiving rejection can be a daily experience, sailors are baffled by their lack of success. Studies show that a veteran who does not build up resilience to such treatment in the first six months after leaving the military is far less likely to ever transition successfully. Reintegration is made more difficult by having spent longer in the military. They are more set in the military mindset. Making the changes necessary to succeed in civilian life can be hopeless. People have to be allowed to fail. Denying them this opportunity means taking from them the chance to grow. Rather than basing success on preventing failure, you’re better off showing people, whether your children or employees, how to bounce back from defeat. While the short-term benefits may be high, in the long term preventing others from failing will lead to their downfall. In the end, if your children and colleagues don’t succeed have you? 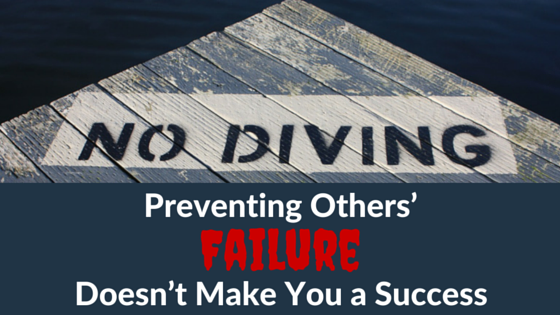 Where do you see preventing failure is necessary? Please comment below.